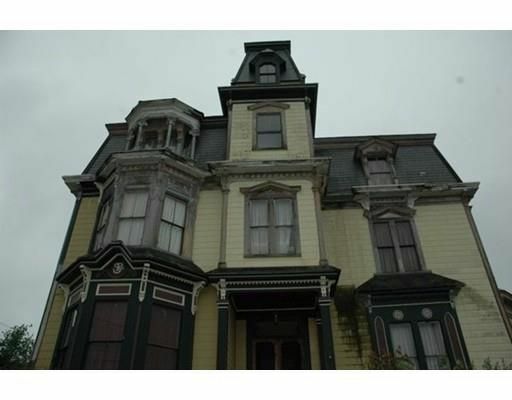 Built sometime between 1875 and 1880 by the wealthy businessperson Sylvester Knowlton Pierce, this 6,661-square-foot Victorian mansion (about 619 square meters) found in Estately looks like the perfect setting for a horror movie. 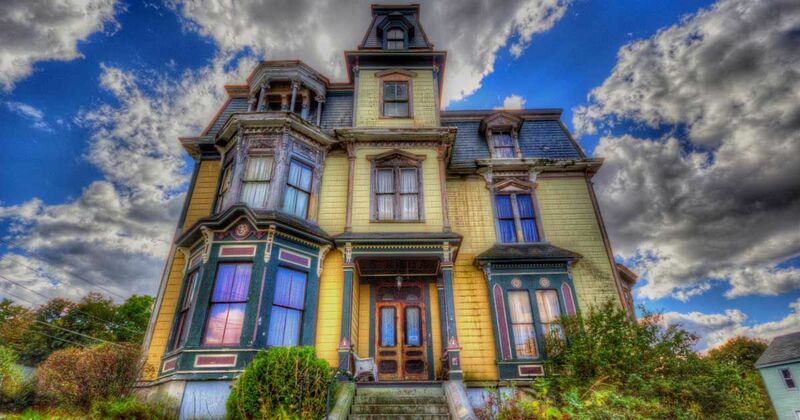 Even so, it still might shock you to learn that it has a reputation as one of the most haunted houses in America! According to Country Living, legend has it that the house has much more inside than beautiful rooms and original furniture, and apparently some people think that several ghosts liked the property so much that they decided never to leave. Let's take a tour of this historic mansion. 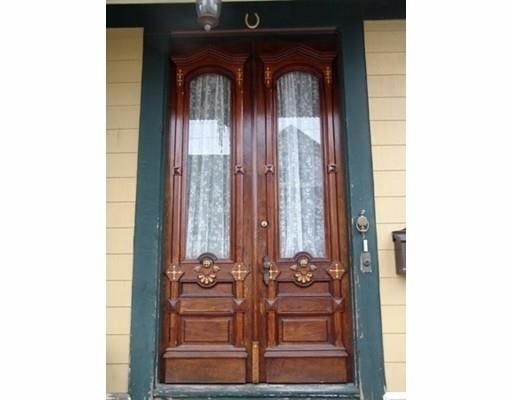 In addition to the long, narrow windows and ornate wood detailing, the stately front doors of the home still have their original doorknobs. They make entering the home feel like a real experience! Inside the foyer lies this grand wooden staircase, complete with an ornate sculpture on the bottom pillar. 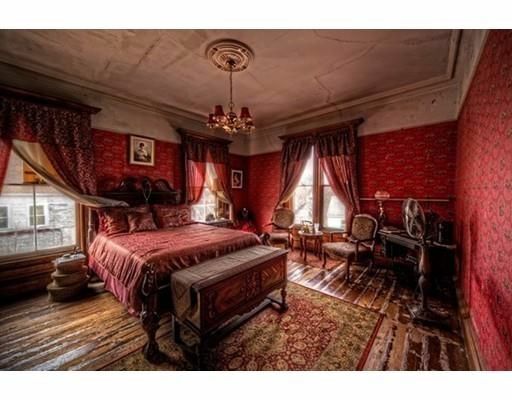 Antique furnishings make guests feel like they've been transported right back to the 1880s, and they probably make the resident ghosts feel right at home! 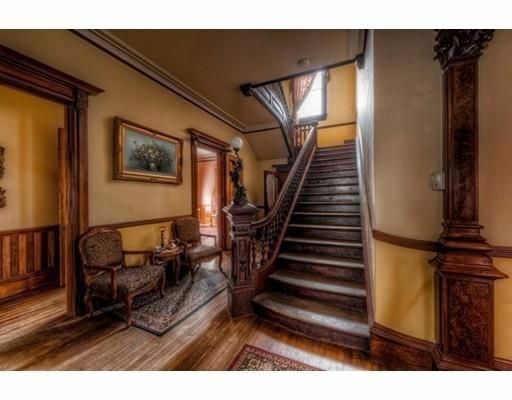 The elegant staircase stretches up and up, all the way to the second floor where the bedrooms are found. 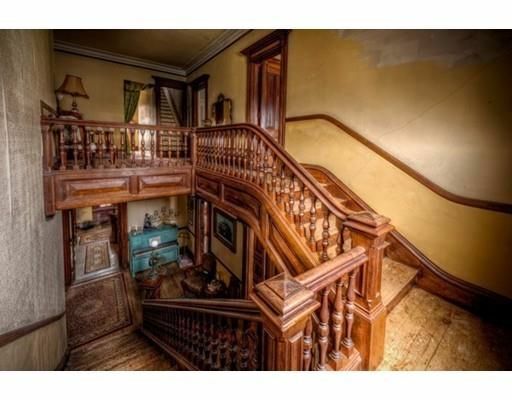 The mansion has changed hands many times over the years, but the staircase has been preserved remarkably well. As one of the home's five bedrooms, the master bedroom is furnished all in red, right down to the wallpaper and the rugs. Next, we have the nursery, where some people have claimed to see the ghost of a small boy! 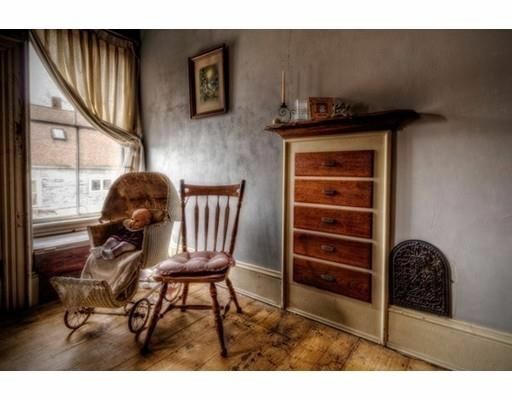 Nonetheless, the built-in dresser and pale blue walls would have made this room a great place to raise children before all the paranormal activity began. Downstairs, the living room is graced by an elegant black marble fireplace that was an original part of the home. 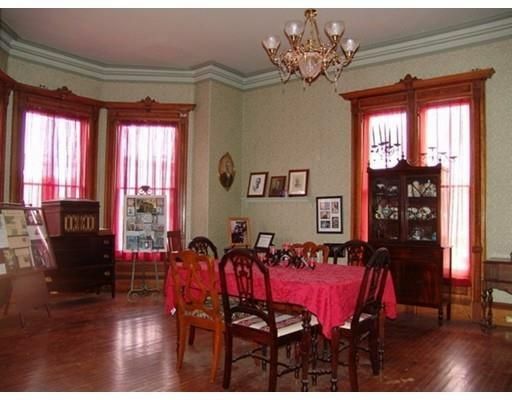 The formal dining room follows the same red color scheme that's found throughout most of the rest of the house. Beautiful hardwood floors and an elegant chandelier polish off the look! 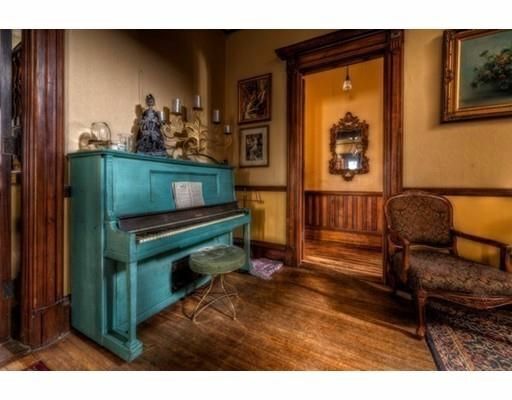 Finally, this unique blue piano is found in the mansion's family room. 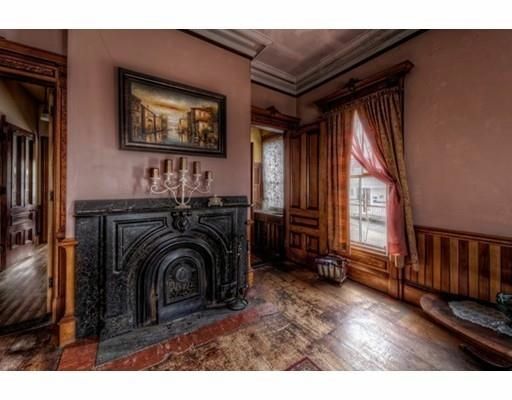 The piano and the decorations on top of it are just a bit too creepy, but the door frames in this room showcase some of the wood detailing that makes the home so special. 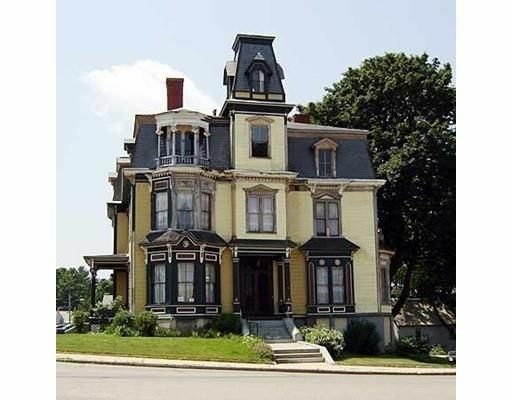 In broad daylight, you can see that the house is a prime example of Victorian architecture in the late 1800s. With its classic mansard roof, gorgeous bay windows and intricate woodwork, the home is well worth preserving — despite all its ghostly inhabitants! Does this mansion make you believe in ghosts? Let us know in the comments below, and make sure to share this article with your friends if you loved it!